Les tableaux représentent une compilation des résultats de 30 combats. Voyez les faits saillants de la pesée de l'événement Fight Night London avec les têtes d'affiche Fabricio Werdum et Alexander Volkov. Voyez la pesée officielle de l'événement Fight Night London le vendredi 16 mars à 19:00 HEC en direct de l'O2 Arena de Londres, Angleterre. Voyez les face-à-face de l'événement Fight Night London avec les têtes d'affiche Fabricio Werdum, Alexander Volkov et plus encore. À l'approche de son combat principal à l'événement Fight Night London, Fabricio Werdum se remémore ses 20 ans de carrière et pense à ce que l'avenir lui réserve. 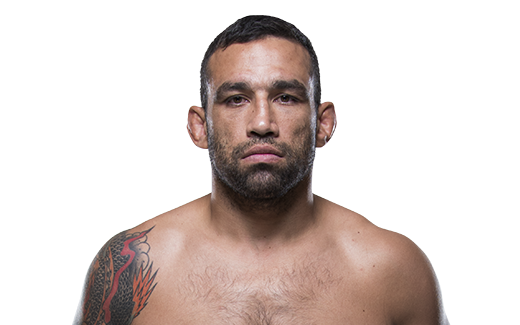 Soyez sûrs de regarder Werdum en profitant de votre essai gratuit de 7 jours FIGHT PASS. There were times in his MMA career when Fabricio Werdum seemed destined to be remembered as a very good – but probably not great – heavyweight fighter. Then came UFC 188 in Mexico City. In what was clearly his finest moment in the Octagon, Werdum scored a third-round submission victory over UFC heavyweight champion Cain Velasquez, winning the belt and making a case that he belongs among the division’s all-time best fighters. Werdum, a three-time Brazilian jiu jitsu world champion, now can claim victories over two of the sport’s greatest heavyweights: Velasquez and the great Russian champion Fedor Emelianenko. In both of those bouts, Werdum was an underdog. In both, he won by submission. His climb to the top of the MMA world has been relentless, if not always successful. He suffered disheartening losses to Andrei Arlovski in 2007, Junior Dos Santos in 2008 and Alistair Overeem in 2011 but has also scored wins over such notable fighters as Gabriel Gonzaga, Antonio “Bigfoot” Silva, Roy Nelson and Travis Browne. When and why did you start training for fighting? When? I started when I was 20. Why? All I can say is it involved a woman. What does it mean for you to fight in the UFC? It's a recognition of my hard work and training. I've been waiting for this moment to truly test my skills among the best of the UFC again. I'm ready for challenge. Werdum was expected to face Velasquez for the heavyweight title at UFC 180, but a knee injury forced the champion to bow out. That opened the way for an interim title fight with Mark Hunt, which Werdum won by knockout in the second round after being knocked down twice. He finally got his shot at Velasquez, who had lost just once in 14 career fights, in June 2015. Werdum spent more than a month training in Mexico’s high altitude to prepare for the title bout and was clearly the fresher of the two. Werdum pounded Velasquez while standing, and when Velasquez tried to take the fight to the ground, he quickly applied a guillotine choke that forced his weary opponent to tap out. Although Werdum had five losses on his record, two were close decisions (Sergei Kharitonov in 2005 and Antonio Rodrigo Nogueira in 2006). He brought a five-fight win streak into his title match with Velasquez and proved worthy of wearing the championship belt around his waist. • 3-1 between UFC appearances (all in Strikeforce) with wins over Fedor Emelianenko, Antonio Silva, and Mike Kyle. His only loss was via decision to Alistair Overeem in their 2011 rematch. 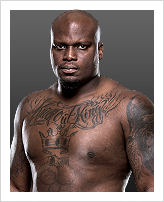 • Also owns wins over Tom Erikson, Alistair Overeem, and Aleksander Emelianenko. • Earned his nickname from playing soccer, where he was so quick, opponents would yell “Vai Cavalo” or “go horse”.